The book’s title, Nothing to Do but Stay, hit me between the eyes. Can’t tell you how often I’ve resented that difficult place to later praise its value. I parked along Fourteen Mile Road. “Let’s stroll Leon & Lulu first,” I said. Our eyes lit up when we walked into Clawson’s transformed roller rink—a “lifestyle retail store” aimed to pamper and inspire domestic creativity. Decorated for the Easter season, shelves of fluffy bunnies and sheep of all sizes greeted us at the door. In the vast showroom, a workbench turned dining table caught Joyce’s eye. The price was out of reach. Besides, she’s gained what she needs and wants. We admired a display of Motawi clocks before we walked next door to dine in the charming café, once the Clawson Theater. In the heart of quietude, we confided our hardships, hopes, and writing projects—encouraged one another as fellow pilgrims on our earthly journey. When I returned home, I took over the sofa with Nothing to Do but Stay. “Don’t read too late,” my husband said. I wrapped my mother-in-law’s lavender and white afghan around me. “My pioneer mother was wild for education,” the book began. While the wind blew below zero outside my door, I lay cocooned in warmth. Yet, there I was in 1904 with Carrine Gafkjen, the author’s mother and young Norwegian immigrant, boarding a train for North Dakota to claim her homestead. 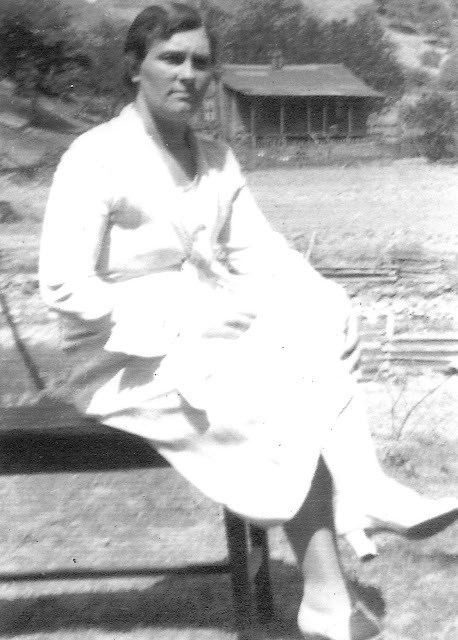 I heard echoes of my mother’s stories of Great-granny Hunt, once a young Irish woman who sought the Appalachian frontier and “knew exactly what she was getting into.” As the author’s mother did her, Great-granny wrapped quilts around my mother for wagon rides to school in deep snow. She, too, was wild for education. With that on my mind, I turned in for the night. Today, I decided not to brave the cold for exercise. Rather, I sat in our sunny kitchen window with two kittens on my lap and finished Nothing to Do but Stay. Past midnight, the following passage will not let me go. “My mother recounted how a disgruntled high school student in a nearby town had burned down the school. At first she bristled with outrage at the mindlessness of a youth who could put a match to a temple of learning, but as her anger spent itself the real tragedy of the situation began to engulf her. Dear Reader, it’s a test of character and will to stay and learn to become a good neighbor. If we resent, destroy, or abandon our place, we forfeit the adventure of building a loving community. I'm thankful my Great-granny Hunt and Granny McCoy stayed and built their homesteads. They imparted onto me their pioneer spirit, taught me to be wild about education.